A full head of hair is something that many of us take for granted until it’s gone. Hair transplants aren’t a miracle cure – it’s a rather misunderstood process, as some are under the impression that the new hair is fake, or that it will shed soon after the procedure. There are two types of hair transplant surgery: strip FUT and FUE. Follicular unit excision (FUE) is carried out by removing individual follicle groups from a donor area of the scalp, before transplanting them into the recipient area. Strip FUT involves removing a strip of skin with hairs and follicle groups, which is then microscopically dissected to separate each group of follicles into grafts. The individual grafts are then reinserted into the recipient area of the scalp. Transplanted hair should behave similarly to the hair from where it was taken. The hair in the donor area of the scalp is genetically different to the balding hair, so it won’t shed in the same way. Correctly done, people find that the results last a very long time, at least into old age. If a reputable surgeon carries out the surgery, the transplant should look completely natural. Hair growth is cyclical so it’s typically a slow process even in those who aren’t suffering from hair loss – generally speaking, transplanted hair will start to grow back within three to four months. However, it can take up to 18 months to see the final result, but for the majority of patients it’s attained at the 12 – 14 month mark. It’s the root of the hair that has been transplanted rather than the hair itself, so if you notice the hair starting to shed it shouldn’t be a cause for concern, as the root will form a new hair shaft. It’s important to note that hair transplants aren’t right for everyone. If you’re under 25, you could end up with a patchy result due to having the surgery too early, as your hair is likely to continue receding or falling out as you age. If you have advanced hair loss, the results of a transplant may not give you the look of a full head of hair. However, in the right candidate, the surgery has a high success rate and is life-changing for many patients. 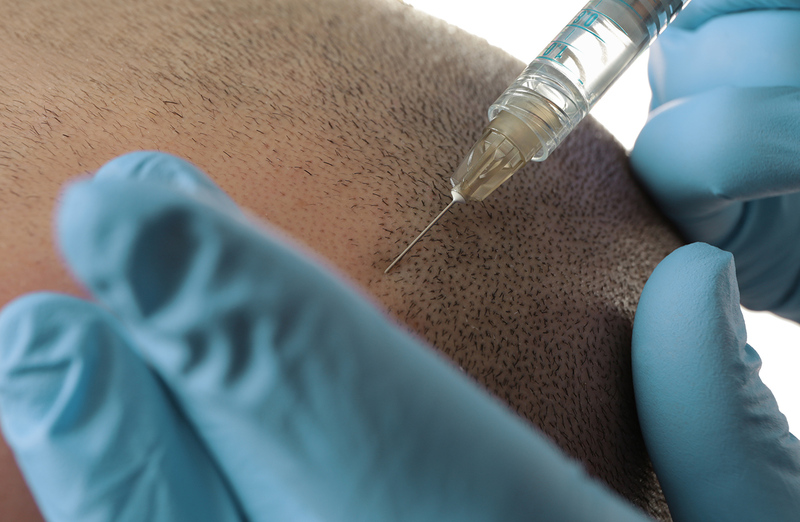 Its all about assessment at consultation and matching expectations to your hair loss circumstances.To find out if you’re a suitable candidate for hair transplant surgery, book your consultation with our experienced staff.